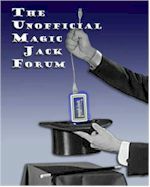 If I choose to switch to Magic Jack from Vonage, can Magic Jack issue me a new phone number? I don't want to to retain my old number. Please double check the exchange number before you pick it. There are a few who chose an area code and expected the number to be local, only to find out that it's long distance for incoming callers. That's not usually a problem, but there might be a few folks out there that still pay for long distance. Oh, it is still an issue for very many folks. You would be surprised. BTW, in some rural areas you do not have that many options- no broadband, spotty and expensive cellular service etc.